Cleaning the tiles and grout in the kitchen and bathroom is a critical part to overall good smell and a healthy environment. The tiles and grout in your kitchen and bathroom should be thoroughly cleaned on a fairly regular basis, this will ensure that these rooms will remain sanitary and fresh. Using Vinegar to clean your kitchen tile and grout. In particular, the bathroom area has a high degree of moisture and therefore, humidity. These moist areas are the perfect breeding ground for all sorts of germs and mold. Germs, mold and bacteria can soak up like a sponge, organic matter that is then released in to the air, which resulting in fowl odors and worse, unhealthy breathing and living conditions, which can ultimately lead to sickness. This type of deep cleaning does not need to occur on a weekly basis, but certainly should be considered at a minimum on a monthly basis. 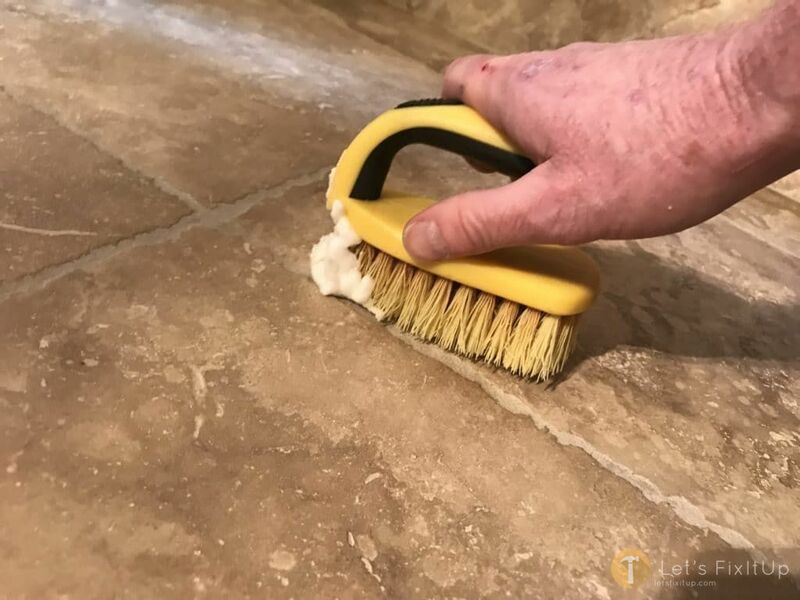 Keeping up on the tile cleaning in your kitchen and bathroom regularly will ensure that these harmful airborne particles will stay away and it will also make for easier cleaning on a more regular basis. Let’s Fix It Up offers the following processes to more then adequately clean your tiles and grout. 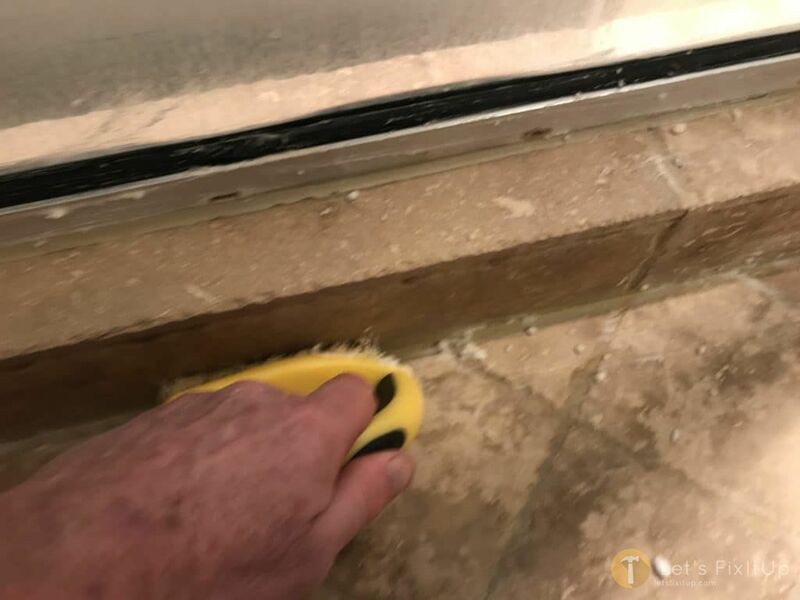 Cleaning the grout and tile thoroughly is one of the most important hygiene items you can do to ensure a healthy living environment within your home. 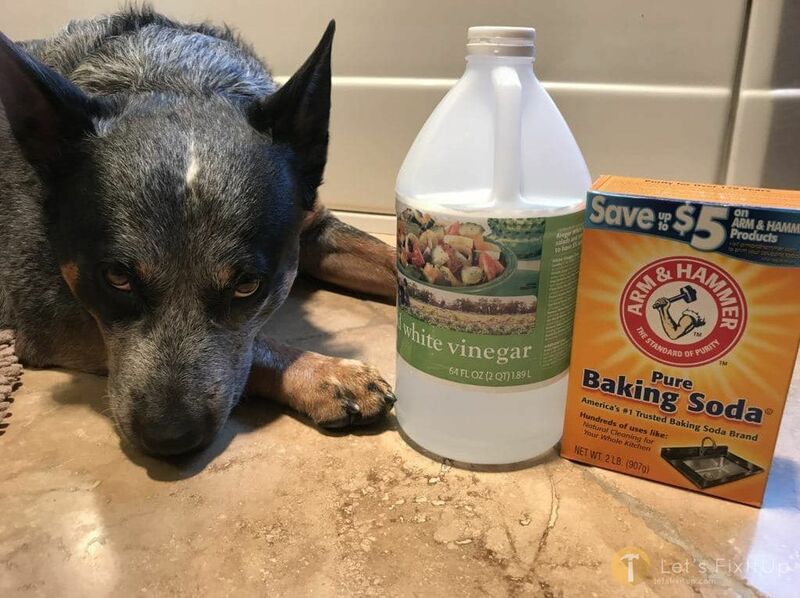 Vinegar is a slightly toxic acid in addition to being a natural cleaning product and has remained very popular down through the years; The toxic acid will make cleaning your tile and grout nearly effortless. Utilizing a household size cleaning bucket mix 1 part vinegar to 1 part warm water. Wipe or mop in multiple directions. Rinsing the mop or hand sponge often. 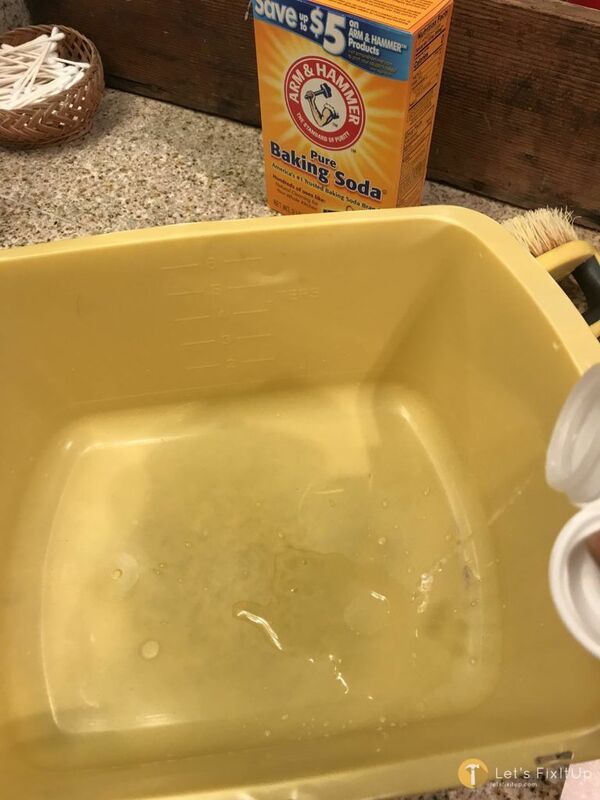 If your floors have stains, mix vinegar with some baking soda to form a paste which can then be applied, let sits for several minutes and then clean up and rinse with fresh water. MULTI-USE: Use all around your home and garden. Clean carpets, furniture, seats, drain lines etc. Mix well with a vigorous shaking of the bottle. Spray the entire surface of the tile with the vinegar and water mixture. Allow the mixture to soak on the tile for approximately 10 minutes. Leave the solution on the tile and grout longer for deeper cleaning on hard to clean areas. Scrub the cleaning solution onto the tile surface, rinse thoroughly with clean water using a cloth or paper towel. Scrub the grout with a stiff brush. Scrub it using circular and back and forth patterns. Scrub it thoroughly to ensure that all debris and stains are removed from the grout. Finally, rinse away the vinegar mixture with clean warm water. This can be accomplished with a mop or by hand. Using a small brush, apply the baking soda paste to the grout. 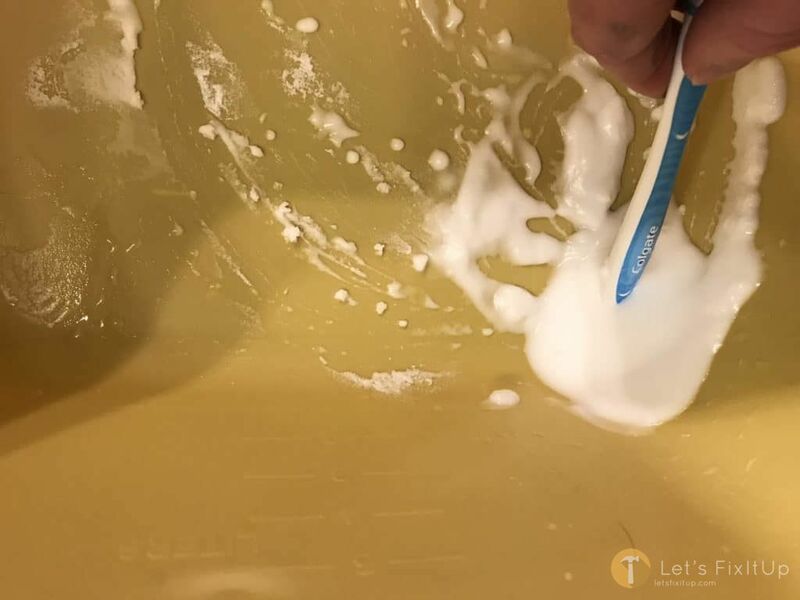 You can use the same brush you’re going to use to scrub the grout later. A toothbrush or sponge may also be substituted for the cleaning brush, however, a stiff scrub brush is ideal. Spray or wipe the solution directly to the grout. Let the baking soda sit for 15 minutes. The baking soda and vinegar mixture will bubble thereby helping to loosen any ground in dirt and staining. Scrub the grout with a stiff brush, sponge or toothbrush. This should remove the majority of dirt and staining. Complete the process by applying clean water and scrubbing, wiping away the dirty vinegar and baking soda. Use paper towels, sponges, mop or cloths to clean up the residue. Apply Baking Soda and Vinegar Paste to Shower Tile and Grout. Let it soak, then Scrub! Acid is one of the best and most effective cleaning substances on the market. It is very effective at removing rust, calcium deposits, stains and dirt..
1 bottle of Grout-eez will clean approximately 250 sq. ft of tile and grout. So with our 2 bottle special you will have enough to clean approximately 500 sq. ft of tile and grout all without getting on your hands and knees. Grout-eez is used by professional grout cleaners throughout the country. Professionals use it for 3 reasons, It's easy to use, it's fast to use and the most important reason it WORKS! Always ventilate the room well. Utilize a fan and open doors and windows as you can easily be overcome by these chemicals. In a plastic container, mix one cup acid solution with warm water. Mix thoroughly. Wear rubber gloves and safety glasses when working with this type of cleaning solution as it is extremely corrosive and can burn your skin and eyes. Work slowly and carefully as not to splash the mixture onto unwanted areas. Using a stiff brush apply the solution over stained areas. Wait several minutes to loosen stain and various debris. Rinse with warm clean water on the tiles to wash off the acid completely. Using a stiff brush, scrub the stains. Following the cleaning process, rinse the tiles with warm water. Repeat the process as necessary to completely remove the acid residue that has been applied to the tile and grout surfaces. Ventilate the room until the toxic acid fumes have dissipated. Let’s Fix It Up highly recommends using the natural baking soda and vinegar method if at all possible over the more dangerous and toxic acid approach. If your stains, rust and calcium build-up is more then this method can handle then turn to the acid approach. In most cases, baking soda and vinegar with handle the cleaning.